By Jeff Lagasse-Among the lesser-known benefits of telehealth are its abilities to help hospitals strengthen a provider’s billing and payment collections. 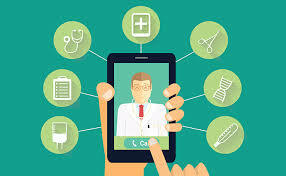 Many virtues of telehealth are widely understood at this point but a perhaps lesser known emerging use for the platforms is to streamline the revenue cycle by enhancing billing and payment collections. That’s becoming increasingly appealing as patients’ financial responsibility for their healthcare bills is changing. The patient portion of expenditures in hospitals used to be roughly five percent of total outstanding billables, according to Dan Berger, national director at health financial technology company AxiaMed. But that percentage has skyrocketed. It’s now hovering around 20 percent, and Berger expects it will grow to 30 percent over the next few years. That significantly changes the revenue cycle picture in healthcare. Much of the patient portion is captured post-care, and what revenue cycle departments across the country are now dealing with is how best to collect that remaining balance. It’s not an easy endeavor. Sometimes patients have no idea what they owe. Bills are often needlessly complex, and even if a patient understands their financial responsibility, they not not be able to pay immediately, and so they put it off … and put it off … and put it off. What telehealth and other new delivery models have done, said Berger, is stumble upon potential fixes to these problems almost as if by accident. It boils down to convenience and timing. That the billing procedures in telehealth, for example, are more convenient isn’t surprising, considering the model itself is based around the kind of consumer-oriented conveniences found among companies like Amazon and Uber. What gives telehealth, concierge medicine and other models such a big leg up on the billing picture is that, due to their newness, they don’t have to reform pre-existing processes; they can essentially start from scratch. Traditional providers are learning, though, and many have figured out that in addition to convenience, timing is essential. “It’s really important to collect money while the patient is at your facility,” said Berger. “That has become extremely important. The way we see that manifest in the market is patients actually being asked for payment in the emergency room. They go to the ER, and either at registration or even while they’re at the treatment room, they’ll actually be asked for a copay. The concierge medicine model — in which patients pay a monthly fee for premium health services — hasn’t taken off to the extent that telehealth has. But one billing concept it has contributed to the discussion is the idea of recurring payments. They’re becoming more common, and in order for that billing scheme to work effectively, providers need to keep a credit card for the patient on file, along with a system that can send out the month bill with a reminder. It’s also easier to accept payment plans when a card is on file, and plays into the convenience factor, saving consumers the step of having to actively log onto a patient portal to fulfill their financial commitments. Healthcare is at the nexus of these types of billing models, with markets of every scale expressing interest in adoption. As generational attitudes start to shift on favor of technology and convenience, it behooves providers to provide convenience, clarity and simplicity.